For those in the know, most fast food restaurants have always had a ‘secret menu,’ a place where savvy customers could order crazy items built from other items off the ‘common’ menu. At the top of the list of secret items was McDonald’s McGangBang sandwich, which is the biggest, cheapest, item you can get. 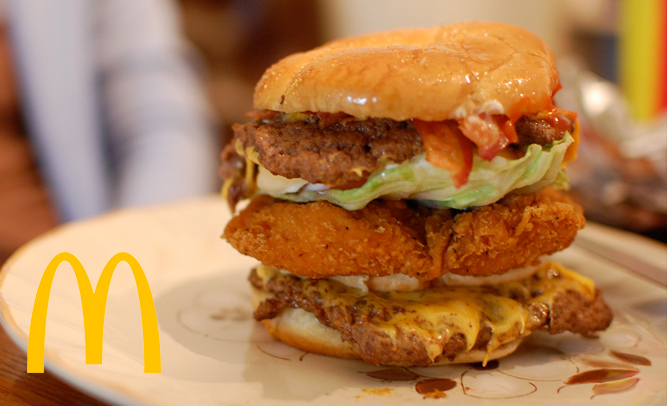 The sandwich features a McDouble burger, as well as McChicken, smashed together to form a towering heart attack. McDonald’s long denied the existence of their secret menu, but in the day of the internet, nothing stays a secret for long. With the McGangBang sandwich becoming public knowledge, and a slew of people beginning to not only order the item, but also post pictures online, McDonald’s has said that they are now going to be putting the item on their official menu.